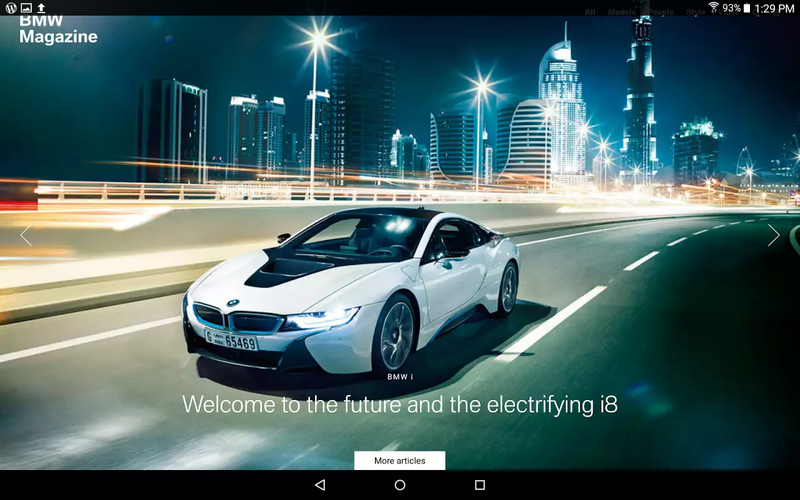 The digital version of BMW Magazine includes its own, regularly updated and exclusive features. Editorial content is complemented by reports, picture galleries and videos, and is updated at regular intervals. All of which allows readers to explore new design trends, travel destinations and the rich diversity of modern life. Experience the BMW brand and meet people whose visions keep the world on the move. The App is slow to open and will consume lot of data as the graphics and pictures are of high quality. If you have a slow connection it might be frustrating. A new launch for the paper edition of TOFM, The Official Ferrari Magazine with a new header and a new look. The magazine is complemented by an online version and a dedicated app, the Prancing Horse cars, Formula 1, art, culture, fashion, lifestyle, important individuals, life in Maranello, collectors, famous and less famous fans, classic cars and future plans, basically anything you need to know about the legendary Ferrari, will be available through the magazine. Ferrari Magazine is the authentic voice of Ferrari, the stories printed are told by important international writers and journalists, photographers and designers. You can feel the history, present and future of Ferrari in every page and see exclusive videos and images through the digital version. 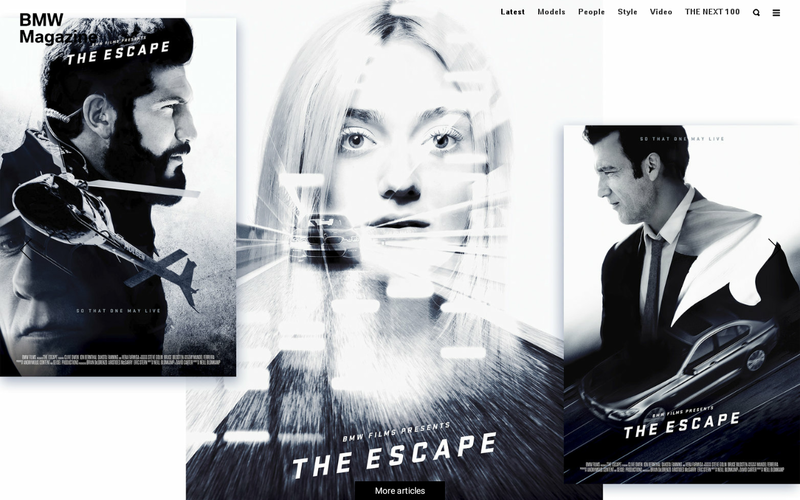 The digital magazine will be available in 7 languages: English, Italian, German, French, Spanish, Chinese and Japanese. In keeping with the tradition started by Enzo Ferrari himself, the final edition each year will be a yearbook, a detailed review of the sport season, from Formula 1 to GT Competitions to the one-make Challenge, alongside news relating to the road cars. The Official Ferrari Magazine, edited in Maranello, is developed with support from a dedicated team in London, with offices located at the Vogue House owned by Condè Nast, the company behind such prestigious titles as Vogue, Vanity Fair, Ad, GQ and Wired. If you love fast cars, download the free McLaren 650S app and explore and interact with the latest addition to McLaren Automotive’s peerless performance car range. Design your favourite McLaren 650S Spider and place it in your favourite location to create a unique image which can be shared across McLaren Automotive’s official social media channels for the whole world to see!. Choose your favourite colour, select the wheels and options which complement it the best, and watch as your vision for the McLaren 650S Spider comes to life. See how its uncompromised, race-car derived stance and ground-breaking aerodynamic features combine to produce one of the most beautiful cars in the world. 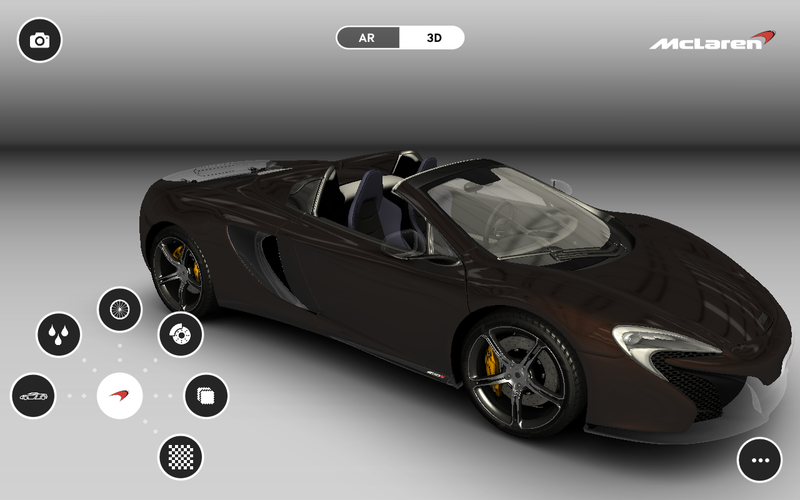 The McLaren 650S app also features AR technology, allowing you to see the car you have designed in 3D. 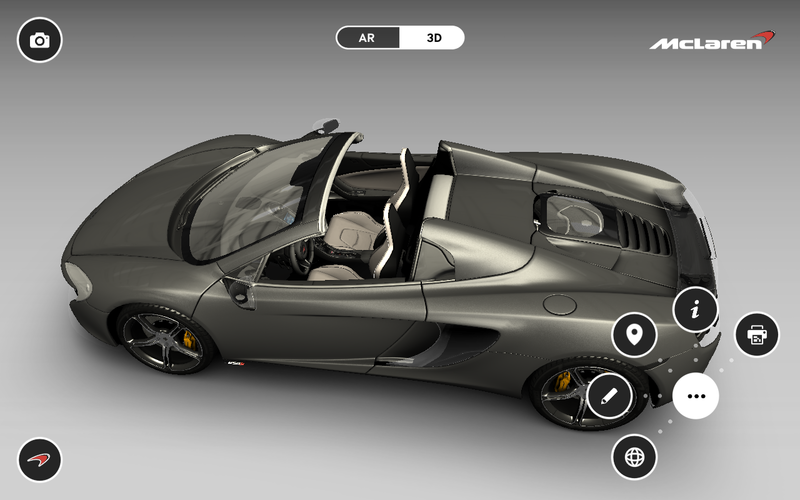 To activate this feature download the AR Marker from facebook.com/mclarenautomotive and view it through your tablet’s camera to see your McLaren 650S Spider appear.